Workplace occupations – sometimes also known as workplace sits-ins – often take on an iconic status within the annals of the international labour movement. Many on the left simply conclude that direct action works. But this shows a deficiency in understanding the interaction of processes and outcomes at work and the specificity of the conditions under which they operate. 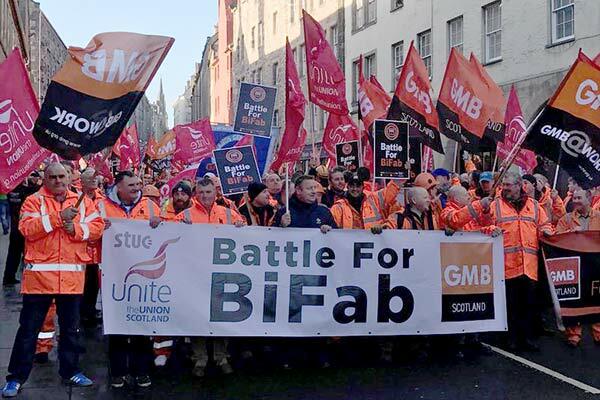 The successful occupation and work-in at Burntisland Fabrications (BiFab) in Scotland in 2017 can be used as a lens by which to reconsider the contemporary utility of the tactic and the frequency of its usage. With BiFab, there was manifest group cohesion, generation of a usable bargaining asset, ability to create political pressure, buoyant product demand, and the strategic importance of energy infrastructure.